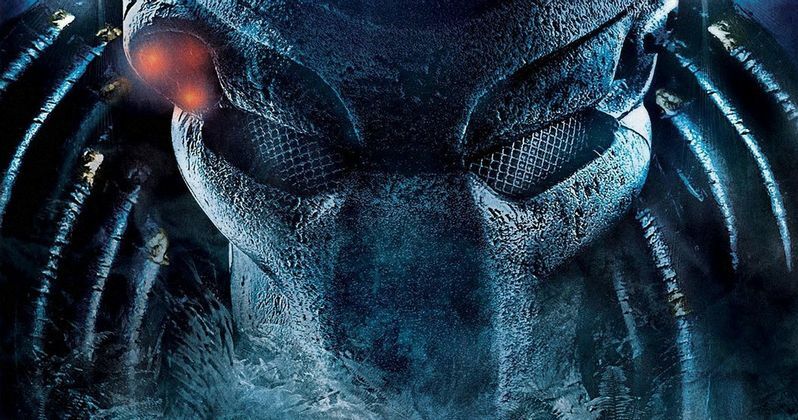 It has been a while since we've seen a Predator movie, but that is going to change next year. Fox has been working on a reboot for quite some time and the movie has completed filming. Good or bad, The Predator is coming for us on August 3, 2018. Plot details have been a little sketchy, but we have heard previously that the long-awaited new Predator movie is going to feature a suburban setting. Now, Fox CEO Stacey Snider has confirmed that this is indeed going to be the case. Welcome to the suburbia, Predator franchise. Stacey Snider recently spoke at length with Variety on a range of topics relating to Fox and the future of the studio. At one point, while discussing the possibility of franchise fatigue, she decided to talk a bit about The Predator, which is being directed by Shane Black. In addition to confirming the suburban setting, she decided to heap some praise on the forthcoming sequel/reboot. Here's what she had to say about it. "We've got a 'Predator' film coming out that is unexpected and utterly fresh. I just imagined that it would take 500 hours to read the script, that it would be interior jungle, exterior more jungle and then fighting happens, but Emma [Watts] went out and recruited Shane Black. From the first page, it didn't read like a Predator film. It's set in suburbia. There's a little boy and his dad at the center of the action." The Predator may have a setting that concerns some fans of the franchise, but the creative team is undoubtedly something to get excited about. Shane Black (The Nice Guys, Kiss Kiss, Bang Bang) starred in the original movie and has asserted himself as an excellent screenwriter and director in his own right over the years. So having him writing and directing is reason to be optimistic. The cast, which includes Boyd Holbrook, Olivia Munn, Edward James Olmos, Jacob Tremblay, Trevante Rhodes, Keegan-Michael Key, and Thomas Jane, is also very solid. It's been said that this new Predator movie will reboot the franchise, but it will not ignore the events of the original movies. The original Predator is a true action classic and every entry in the franchise since has yet to even come close to topping it. Or even matching it, for that matter, despite plenty of trying. Predator 2 has found an audience in the years since its release, but it tanked at the box office and is at best a cult favorite. Then came the Alien Vs. Predator movies. Rock solid crossover concept, terrible execution. Most fans would do anything to forget Alien vs. Predator: Requiem. 2010's Predators was probably the best movie in the series since the original, but it still didn't recapture that magic. Can The Predator get us there by taking the creature to the suburbs? Keep your fingers crossed.